Welcome to Honda's "Mean Machine"
100bhp Honda 1000cc V-twin engine, originally fitted to a VTR1000 Firestorm motorcycle. 48" / 122 cm cutting width at a max of 15mph. Cutting height - depends how fast. Innovation, pushing boundaries and creating extraordinary pieces of engineering is what Honda is all about. 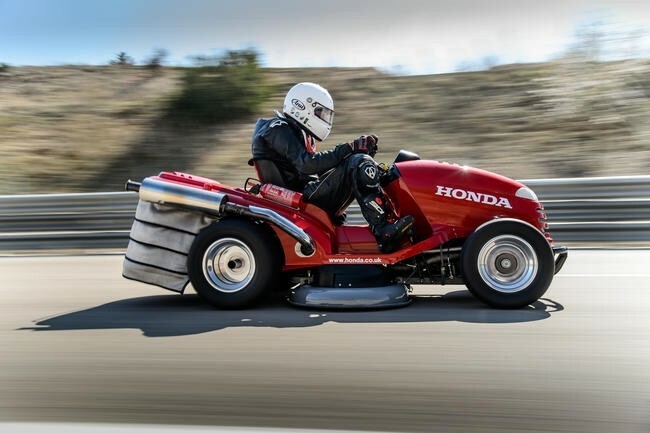 This is why it set out to build a lawnmower capable of reaching an estimated 130mph, achieve 0-60 in just four seconds with a roar reaching 130db, while still retaining its original looks - and cut grass! 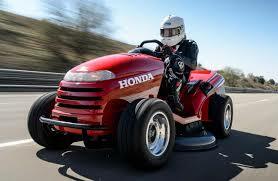 The team used a Honda HF2620 lawn tractor, which was re-engineered from the ground up. It has an all-new fabricated chassis, custom-made from 4130 chromoly (high-strength steel alloy), which provides a strong, safe but very light platform. The motor has been upgraded to a 100bhp Honda 1000cc V-twin engine, originally fitted to a VTR1000 Firestorm motorcycle. Special tyres from a racing ATV have been used to help balance the mower. 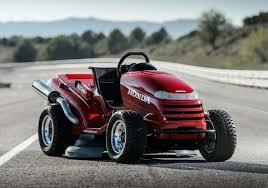 It can cut grass, too. The blades were replaced by two pieces of high-tensile steel cable, fitted to electric motors that rotate at 4000rpm. 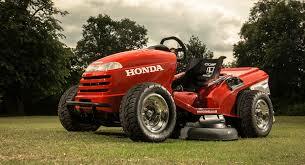 When time really is tight we believe there is no faster way to cut your grass.